Gatsby Wedding Menu by Ashley Parker Creative. Ashley Parker Creative is a stationery design company that specializes in customized invitations and paper decor for weddings, parties and life's other special events. Our Greek Paperie collection features paper designs for sorority women. 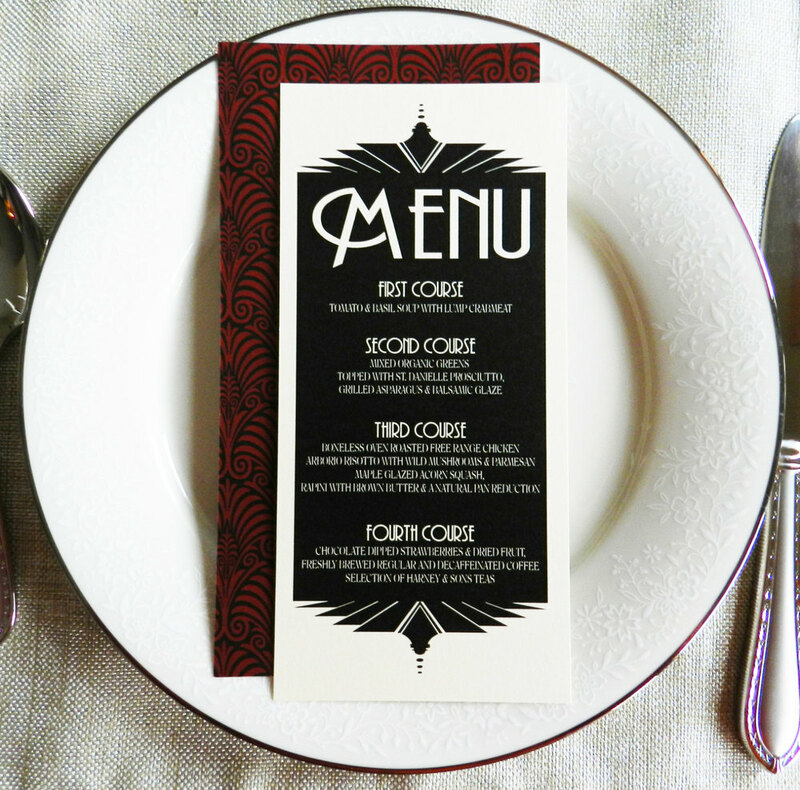 Perfect for an art deco styled event, our long menus can accommodate any size meal. You can also add a thank you note or other details to the back as an alternative to the pattern.